Cloud Services to keep things handy. We offer a range of cloud services including: AVG Cloudcare – a great fully managed cloud based Antivirus solution offering all of the protection you would expect from one of the most trusted names in the anti-virus market. Rhino Backup – our own secure online backup system; simply install, configure and forget! Anglian Internet’s Cloud Server – Our very own configured shared server platform. Keeps your files secured in the cloud with the ability to share not only files but allow users to simultaneous access live database information from anywhere in the world. All you need in an internet connection. Never wait for the data to synchronise, access it live. 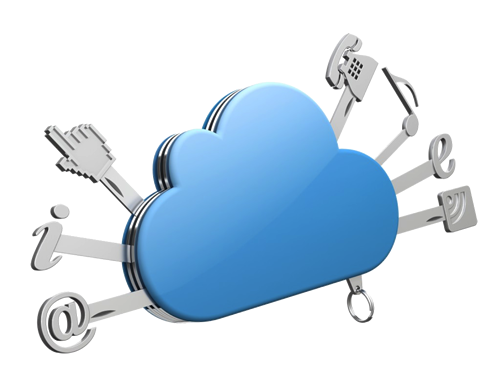 We can also offer many other types of cloud and hybrid solutions contact us today to discuss your requirements and look at the visibility, because at the end of the day the Cloud needs to work for you. Call a member of our Business IT Team today to discuss your requirements on 01603 400200.